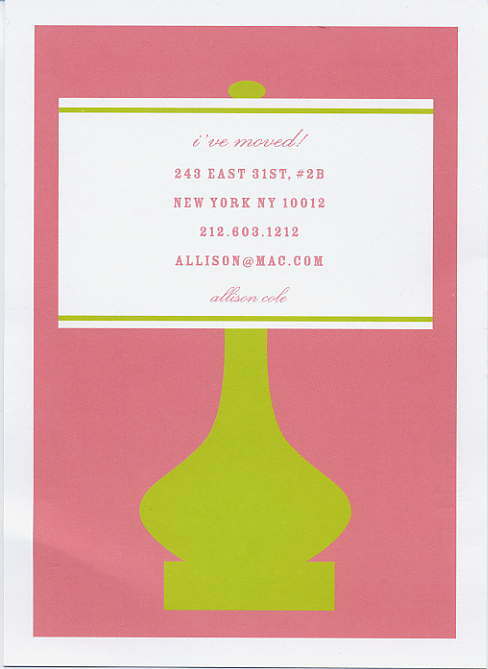 Fun and simple moving announcement for the modern diva. 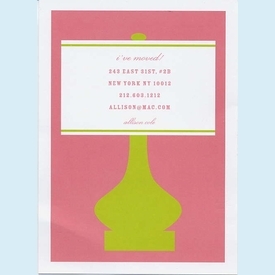 A green lamp is featured on a pink background. NOTE: Only 3 sets left! SIZE DIMENSIONS: 5.00" x 7.00"